WASHINGTON — The special counsel, Robert S. Mueller III, has delivered a report on his inquiry into Russian interference in the 2016 election to Attorney General William P. Barr, according to the Justice Department, bringing to a close an investigation that has consumed the nation and cast a shadow over President Trump for nearly two years. Mr. Barr told congressional leaders late Friday that he may brief them within days on the special counsel’s findings. “I may be in a position to advise you of the special counsel’s principal conclusions as soon as this weekend,” he wrote in a letter to the leadership of the House and Senate Judiciary committees. It is up to Mr. Barr how much of the report to share with Congress and, by extension, the American public. The House voted unanimously in March on a nonbinding resolution to make public the report’s findings, an indication of the deep support within both parties to air whatever evidence prosecutors uncovered. Since Mr. Mueller’s appointment in May 2017, his team has focused on how Russian operatives sought to sway the outcome of the 2016 presidential race and whether anyone tied to the Trump campaign, wittingly or unwittingly, cooperated with them. While the inquiry, started months earlier by the F.B.I., unearthed a far-ranging Russian influence operation, no public evidence has emerged that the president or his aides illegally assisted it. Nonetheless, the damage to Mr. Trump and those in his circle has been extensive. A half-dozen former Trump aides have been indicted or convicted of crimes, mostly for lying to federal investigators or Congress. Others remain under investigation in cases that Mr. Mueller’s office handed off to federal prosecutors in New York and elsewhere. Dozens of Russian intelligence officers or citizens, along with three Russian companies, were charged in cases that are likely to languish in court because the defendants cannot be extradited to the United States. Even though Mr. Mueller’s report is complete, some aspects of his inquiry remain active and may be overseen by the same prosecutors once they are reassigned to their old jobs within the Justice Department. For instance, recently filed court documents suggest that investigators are still examining why the former Trump campaign chairman Paul Manafort turned over campaign polling data in 2016 to a Russian associate whom prosecutors said was tied to Russian intelligence. Mr. Trump’s lawyers insisted that he respond only to written questions from the special counsel. Even though under current Justice Department policy a sitting president cannot be indicted, Mr. Trump’s lawyers worried that his responses in an oral interview could bring political repercussions, including impeachment, or put him in legal jeopardy once he is out of office. Not since Watergate has a special prosecutor’s inquiry so mesmerized the American public. Mr. Trump has helped make Mr. Mueller a household name, attacking his investigation an average of about twice a day as an unfair, politically motivated attempt to invalidate his election. He never forgave former Attorney General Jeff Sessions for recusing himself from the Russia inquiry, an action that cleared the way for his deputy, Rod J. Rosenstein, to appoint Mr. Mueller. Five of them were found to have deceived federal investigators or Congress about their interactions with Russians during the campaign or the transition That includes Paul Manafort, Mr. Trump’s former campaign chairman; Michael T. Flynn, the president’s first national security adviser; and Michael D. Cohen, Mr. Trump’s former lawyer and longtime fixer. A sixth former adviser, Roger J. Stone, Jr. is to stand trial in November on charges of lying to Congress. Those who know Mr. Mueller, a former F.B.I. director, predicted a concise, legalistic report devoid of opinions — nothing like the 445-page treatise that Kenneth W. Starr, who investigated President Bill Clinton, produced in 1998. Operating under a now-defunct statute that governed independent counsels, Mr. Starr had far more leeway than Mr. Mueller to set his own investigative boundaries and to render judgments. The regulations that govern Mr. Mueller, who is under the supervision of the Justice Department, only require him to explain his decisions to either seek or decline to seek criminal charges in a confidential report to the attorney general. The attorney general is then required to notify the leadership of the House and Senate judiciary committees. During his Senate confirmation hearing, Mr. Barr promised to release as much information as possible, saying “the country needs a credible resolution of these issues.” But he may be reluctant to release the part of Mr. Mueller’s report that may be of most interest: who the special counsel declined to prosecute and why, especially if Mr. Trump is on that list. The department’s longstanding practice, with rare exceptions, is not to identify people who were merely investigative targets in order to avoid unfairly tainting their reputations, especially because they would have no chance to defend themselves in a court of law. Mr. Rosenstein, who has overseen Mr. Mueller’s work and may have a say in what is released, is a firm believer in that principle. Mr. Trump has said the decision about what to release it up to Mr. Barr. But behind the scenes, White House lawyers are preparing for the possibility they may need to argue some material is protected by executive privilege, especially if the report discusses whether the president’s interactions with his top aides or legal advisers are evidence of obstruction of justice. Some predict that any disclosures from Mr. Mueller’s report will satisfy neither Mr. Trump’s critics nor his defenders, especially given the public’s high expectations for answers. A Washington Post-Schar School poll in February illustrated the sharp divide in public opinion: It found that of those surveyed, most Republicans did not believe evidence of crimes that Mr. Mueller’s team had already proved in court, while most Democrats believed he had proved crimes that he had not even alleged. Recent weeks have brought fresh signs that the special counsel’s work was ending. Five prosecutors have left, reducing the team from 16 to 11. Mr. Mueller’s office confirmed that Andrew Weissmann, a top deputy, is also expected to leave soon. A key F.B.I. agent, David W. Archey, has transferred to another post. Mr. Rosenstein was expected to leave the Justice Department by mid-March, but may be lingering to see the report to its conclusion. 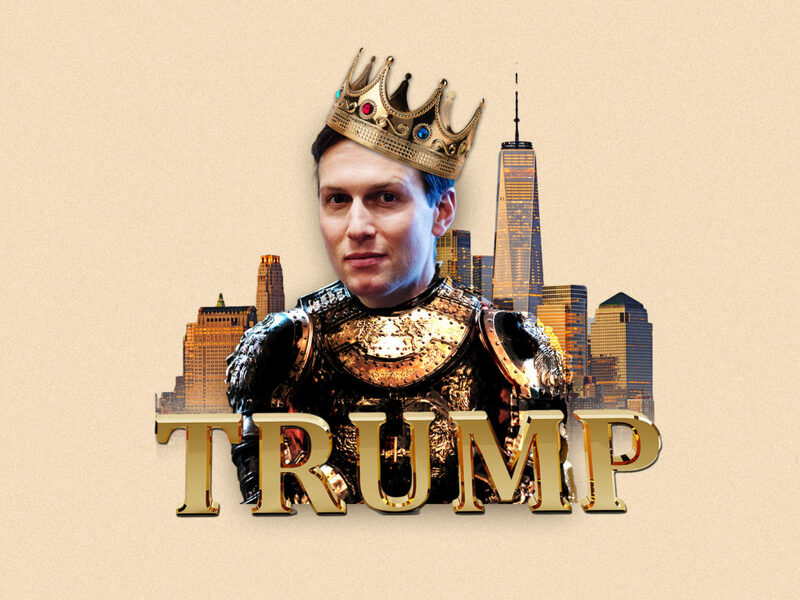 Jared Kushner is even worse than you think. Imagine a preeminent White House official who is unqualified, incompetent, and contemptuous of the law. Or who conceals his contacts with foreign officials, is targeted for exploitation by foreign intelligence services because of his naïveté and lack of ethics, and is deemed a security risk by his own government. Imagine one who conducts suspicious and undisclosed meetings with a foreign power. Or who enmeshes America in the reckless acts of a murderous foreign autocrat. Or who exploits his position for personal and business advantage. Any one of these conditions would ordinarily be cause for the official’s resignation and disgrace—mandating this malefactor’s immediate termination. But what if that the president’s most influential advisor combined all these qualities—yet was also the president’s son-in-law. Well, then you’d have Jared Kushner.